keralaplot.com, is Kerala's First SEO, SEM, SMM Real Estate classified Web Portal to Sell/Buy/Rent Your Kerala Property. 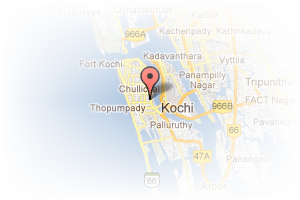 We are based in the Heart of Kochi/Cochin /Ernakulam. We are a leading Online Real Estate Advertisement Web Services Company in Kerala, providing maximum visibility for your Kerala Real Estate Ad to the respective Buyers, Investors, NRIs and Agents in the Middle East, Europe/USA, India. keralaplot.com is the best classified for Individuals, Real Estate Agents, Builders and Landlords to advertise/post their listings on the Internet for maximum reach. We also serve Real Estate Portal's for Kerala properties to buyers across the globe who wish to search for land/property/housing and other related services in Kerala. keralaplot.com offers its users an easy user friendly search feature that allows them to locate property by region, area, price. We update of all the latest trends and happenings relating to the Kerala real estate, in order to master ourselves and answer all your questions and thoughts keeping you updated every time. Address: Kerala, Elamkulam, Kochi, Kerala, India. 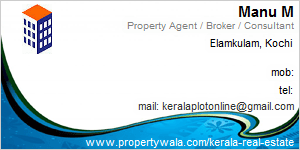 This Broker Profile page for "Kerala Real Estate" has been created by PropertyWala.com. "Kerala Real Estate" is not endorsed by or affiliated with PropertyWala.com. For questions regarding Broker Profiles on PropertyWala.com please contact us.